The biggest prize on the free agency table has been collected. 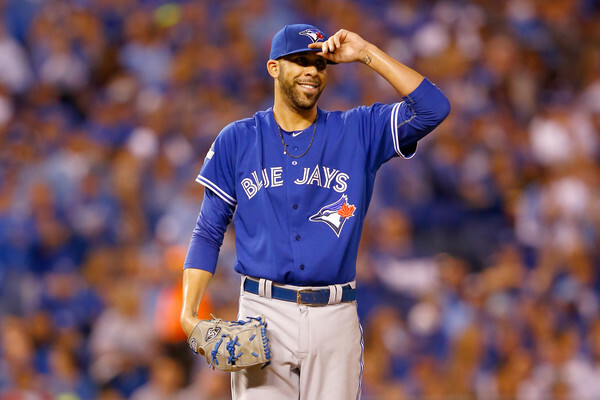 David Price has signed a gargantuan 7-year $217m deal with the Boston Red Sox. This move comes as no surprise to baseball fans with the Red Sox clear need for pitching and the financial muscle they can so comfortably flex. In Price, they have added the “ace” they have craved, and cemented themselves as legitimate World Series threats for the coming season. The 30-year old arrives on the back of a career best 161 ERA+ from 2014 and a 2nd place finish in the American League CY Young race. For the Red Sox and for Price, the advantages are clear, Price leads the rotation of one of the most storied franchises in Baseball, and earns $31m per year for the pleasure. The Red Sox now have Price to lead their myriad of talented young pitchers such as Eduardo Rodriguez and Henry Owens through their formative MLB years. Elsewhere, this move will have ramifications for many teams, with Price, seen as the main free agent domino, now gone, the rest of the free agent market now can settle into place. Pitchers are about to get paid! It is no secret that free agency is a playground for the agents. Scott Boras is notorious for being dogged in his quest to maximise his clients’ potential income. In a nation where we see talent such as LeBron James, Tom Brady and Sidney Crosby have their salaries capped and the billionaires running the teams pocketing more and more, it’s hard to begrudge any athlete getting a massive contract. Baseball in its’ cap free state allows this, and it allows copious amounts of ballplayers to cash in. We’ve seen Jordan Zimmermann and David Price sign eight-figure deals, we’ve seen Johnny Cueto reject one, and we have seen Zack Greinke opt out of one, these four were always going to be recipients of monster offers. This deal indicates that the secondary pitchers on the market are also in for a windfall of their own. Mike Leake, Wei-Yin Chen and Scott Kazmir are undoubtedly grinning from ear to ear in preparation for what is about to come their way. For a few years now the Red Sox have been reluctant to offer long term contracts to pitchers. This philosophy saw them lose Jon Lester to the Cubs. It kept them out of the sweepstakes for Max Scherzer. It was the reason why Joe Kelly and Justin Masterson were part of the starting rotation to open the season. Having seen the volatility of free agents this past winter in Pablo Sandoval and Hanley Ramirez, the front office must have come to the realization that wherever the money is spent, there’s risk attached. The signing of Price should be seen as a pre-cursor that the Red Sox are no longer afraid. After three last place finishes in four years, there’s a sense of urgency for the team to be back in the midst of contenders in the immediate future. With the additions of Price, and Craig Kimbrel prior, there’s a clear sense that the club are primed to pounce in the 2016 season and may not be finished in the free agent market. If the Red Sox are the clear winners of the offseason thus far, then sadly for Blue Jays fans, Toronto are the losers. Losing mid-season acquisition Price hurts the club, with the team he boasted a 2.20 FIP in his 11 starts in Canada. Replacing him with J.A Happ could be fatal to the hopes of repeating as division champions. Happ, who had a resurrection in Pittsburgh last season, has been a sub-par pitcher from 2011 onwards. Struggling with both injury and loss of form resulting in a sequence of ERA+ numbers of 71,86,90 and 90 from 2011 through 2014. The drop-off from Price to Happ is colossal. Although there are still names on the market that could feasibly replace the hole left by the southpaw hurler, it seems a certainty that the Blue Jays enter the 2016 season weaker than they ended 2015.